This morning I woke up to devastating news that the footage to this fight has been deleted. I will make an attempt to get the footage from the stadium but at this stage it is not looking good. It was very disappointing and I should have trusted my gut and had a friend film it like my last fight, but I was really hoping that a situation would not arise like this, no matter the outcome. For the sake of accuracy, I often watch my fights before I write about them as they often look different to how they feel so this post will be written purely from my perspective – from how I felt that night in the ring. 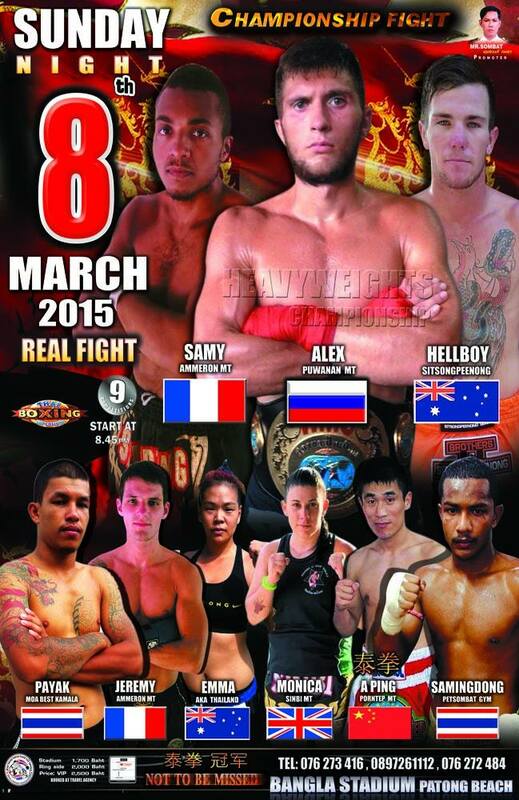 After many months of our fight schedules not lining up, the rematch against Monica was finally on! After our last, super close fight, and some very minor controversy that followed, it was a fight everyone was eager to see and make happen. 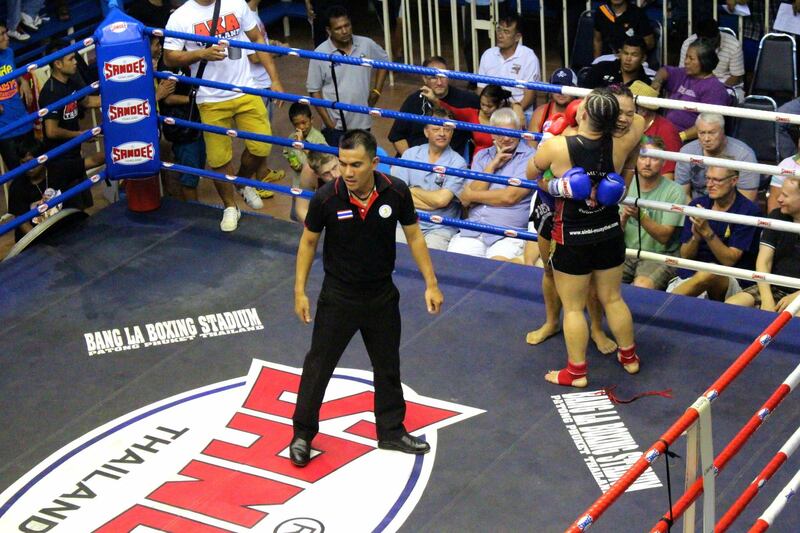 When I first fought Monica, I was fighting under Sinbi, Monica under Kaewphitak. It was definitely an awkward feeling for me after I moved to AKA and Monica moved to Sinbi. I still have a lot of close friends at Sinbi and my trainer Nai ended up training Monica for a period of time. It was definitely an interesting situation to be in. Everyone was friends with both of us and wanting us both to do well. Most of the crew stayed upstairs to remain neutral during the fight. I wasn’t sure if I would fight again after fighting Pernilla as I have been preparing for my fight in Australia on EPIC Promotions. Time was closing in and it was getting to a point where the risk of injury, getting cut or concussed, was too high to be able to take both fights. While this fight was still very close to EPIC, it was one I could not say no to. Preparing for two fights at the same time has been an interesting process as my opponents are both completely different. My opponent in Australia is very tall and athletic, where as Monica has a similar Thai style to me and is shorter than me. 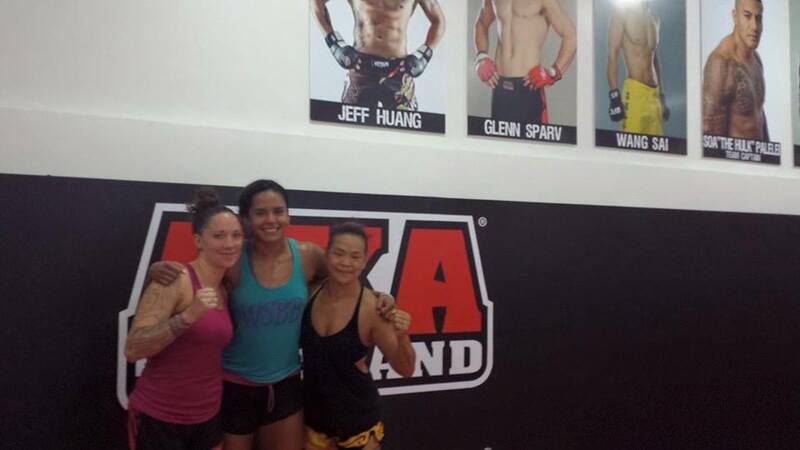 I have been working hard with my training partner, Genah, as she is a very outstanding 5″11′ tall, giving me the perfect training partner for Australia, and on the side I was working with our new Thai trainers/fighters with my clinch. 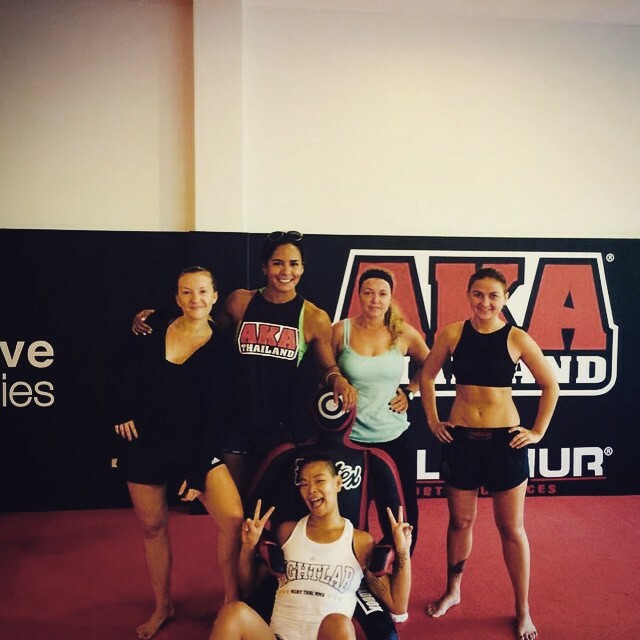 After seeing how I fought against Pernilla, the trainers at AKA began to train me around me strengths. We have been working so many new things in the clinch, different positions of control, getting more power in my knees, and really developing my cardio. I was so pleased that my chest infection had cleared up as our head trainer was really enjoying smashing me on pads (which I do love, and hate at the same time). After working in some hard sparring sessions Genah, and getting some really useful assistance from fellow team mate Dillion, my striking finally began to improve and I was feeling more and more confident on my feet. Striking has never been my strong suit, but I have made it my mission to really improve that aspect of my fight game this year. All fight day, I kept talking to myself like a crazy person. I always have this weird fear that I am not fit enough, even though I know I work hard. I kept telling myself – “you can go the rounds, you’ve done it before”, “nothing is worse that Airdyne”, “just fight like you train”. All day, over and over again – it really makes me glad I live alone, although my cats probably think I’ve lost the plot! The promise I made to myself this fight was to just go for it. Throw those combinations. Don’t hesitate. Trust myself and the hard work I have been doing. The rest will come. And it did. Round 1 began in the usual fashion although I felt like I was getting in first with my combinations. I was using my front kick more, which I had been working on a lot during sparring sessions. I felt strong, and fast, but there was no need to push the pace. I knew how far I had come since we last fought, and I know Monica works hard so I was really interested to see if her style had changed and if her fight game had changed. Round 2 began and I starting really using my striking to my advantage. Even know I know to use my hands and follow with a kick, or a knee or an elbow, I usually don’t. This time, I was letting go. I was landing hard punches, forcing her guard up, and getting through solid kicks. Monica is a fast striker due to her K1 experience however I still felt like I was getting off more combinations. Round 3 began and Monica came out like a bull from a gate. She really came at me for about 30 seconds. I made sure to keep my cool, use my front kick, and regain control of the ring. I was successful in doing so and as the round progressed we both willingly moved into the clinch. Monica had improved significantly in the clinch, but so had I. 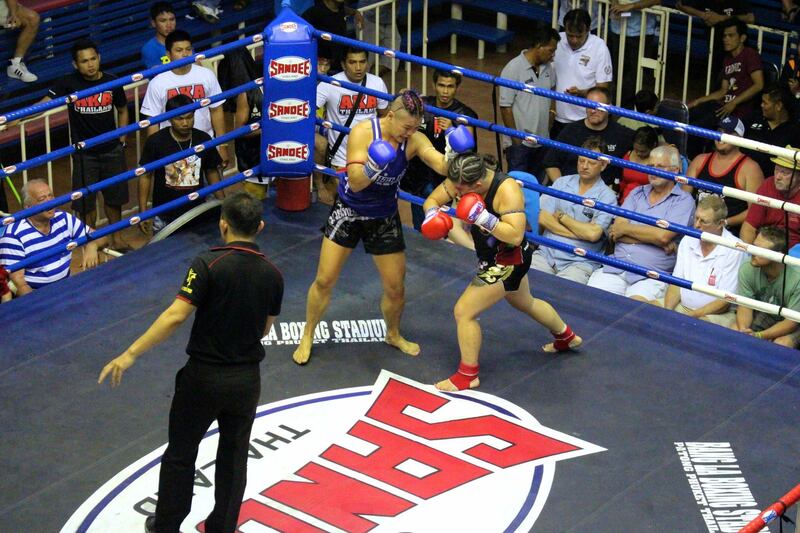 After all the extra training I had been doing around the clinch and what I did wrong against Pernilla, I felt like my knowledge and experience got the better of Monica. Monica was getting in some good hard knees, but I was constantly in control of my position. I had the better grip (two hands around the neck) and she struggled to manoeuvre out of this position. I maintained control of the clinch and returned more knees then I received. Round 4 continues and it’s all about the knees – hard, solid knees. Monica fought hard, but unfortunately there were some new additions to my toolbox that Sinbi weren’t prepared for, and neither was Monica. 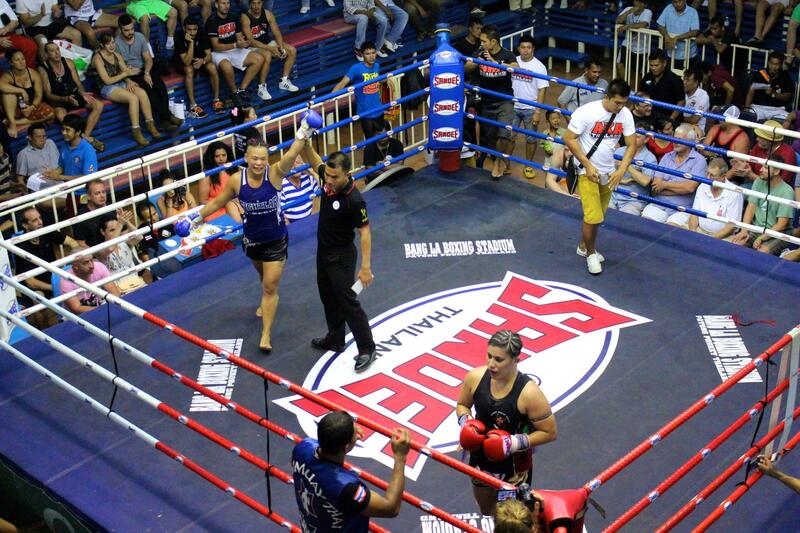 She gave it her all in round 4, she kneed me hard, landed a massive up elbow, but I continued to control the fight. Round 5 I am told I have won. To fight for 1 minute and then stop. 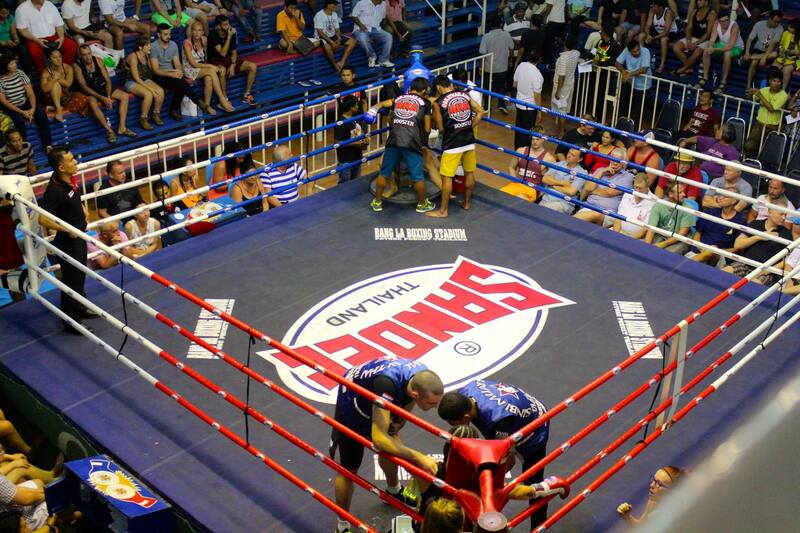 After the incident with the last fight, I remember asking our head trainer “are you sure? 100%?” I guess the difference this time is that I knew I had won. Monica kept coming forward, going for body shots but I was getting off some well timed elbows as she was doing so. I continued to control the ring as Monica pushed forward until the bell went. The best part of this fight was how great Monica was at the end. It really felt more natural then my last experience with her and I am so grateful for this. I realise that not every one gets along. I realise that people fight opponents where there may be bad blood for whatever reason. I am not about this. I am here to fight, to learn, to grow as a fighter, and become the best version of myself that I can possibly be. I train and remind myself that this is what I am here for, not matter how tough, no matter how I feel about anyone else. A massive thank you to Monica for a great, FUN fight. I’m off to Australia in 2 days to weigh in and fight on EPIC and I could not be more excited for the challenging fight ahead.